Simon Marshall, Lorraine Petersen and Anne Hayward at the SEND conference. More than 100 delegates took part in a special educational needs conference in Sunderland. Together for Children welcomed more than 100 delegates including representatives from the parent/carer forum in Sunderland to the conference, which took place to hear from leading experts and to take part in a series of practical workshops. Education specialists at the SEND conference. According to the Department for Education there are around 1.27million pupils with Special Educational Needs (SEN) across the UK. This has an impact on staff within settings, schools, colleges and services needing to upskill their knowledge about effective interventions and to share resources. Together for Children, which delivers Sunderland’s children’s services incorporating educational and school improvement services, hosts regular training sessions for educational providers and conferences that attract delegates including from across the region. Speakers at this latest SEND conference included Lorraine Petersen OBE, an educational consultant who has supported those working with children and young people with special educational needs and disabilities. She said: "Having worked with a number of national organisations I was very happy to share experiences and approaches to supporting both young people and parents." Anne Hayward, a specialist SEND educational consultant, who has strong success rates of helping providers evaluate and improve their SEN services, also addressed the conference. 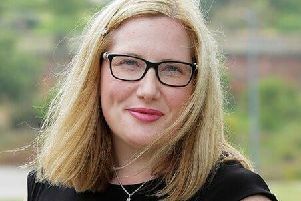 She said: "It’s always a pleasure to share innovative ways to support student outcomes and it was great to see the passion of providers across Sunderland." Special Educational Needs and Disability covers a broad spectrum of difficulty or disability that makes learning and engagement harder than for other children of the same age and it is estimated that around one in five children has SEN at some point during their school years. Simon Marshall, Director of Education at Together for Children, said: “The number of children and young people with SEND is increasing nationally, so it’s more important than ever that we offer conferences such as this. "Practical workshops enable practitioners including special educational needs co-ordinators who support our young people in schools on a daily basis to share experiences and hear from those recognised as being leaders in the field."